ENCINITAS — Bill Arballo’s mind would have nothing to do with the aging process. After his retirement in 2010, the longtime reporter and columnist continued to follow local, state and national news, share his opinions, follow leads and pitch stories. Unfortunately his body couldn’t keep pace. Arballo passed away peacefully from natural causes Dec. 8 at the age of 92. Born in 1924 in Nestor, Calif., Arballo and his family lived in Oceanside and Carlsbad before settling in Del Mar in the mid-1930s. 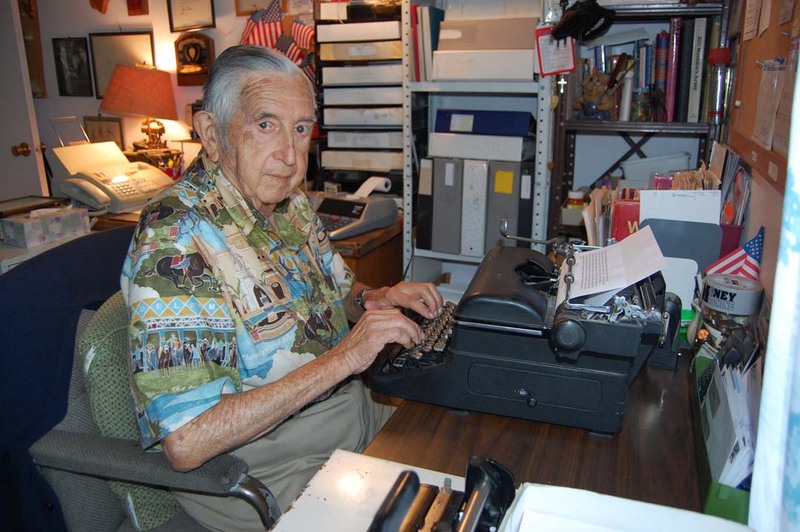 He began his journalism career writing for the Oceanside High School newspaper and received his first “paycheck” as a reporter in 1940 after heavy rains caused a bluff to collapse on a freight train near his home. Hearing the crash, he investigated and immediately called the local paper. Told to call back in the morning, Arballo instead contacted the Los Angeles Times, which verified the fatal wreck, ran the story and sent him a check for $25. Following his high school graduation he enlisted in the Army and served as a medic in North Africa and Italy during World War II. He was awarded the Silver Star, Bronze Star, Purple Heart and Combat Medical Badge. According to an Army record, Arballo earned the Silver Star for crawling “from man to man to administer first aid” despite being seriously wounded himself. He married Angelyn Knier Johnson in 1948, settled in Del Mar and became involved in local politics, serving as Del Mar mayor in 1962 after being elected to City Council two years earlier. He worked as a general assignment reporter for the San Dieguito Citizen and in media relations throughout the county, including a stint public as relations director for the 22nd District Agricultural Association, which governs the Del Mar Fairgorunds. In 1966, Arballo moved to Hilo, Hawaii, as a correspondent for United Press International and Copley News Service. As co-founder of the Big Island Press Club, he pushed for public business to be conducted in public and won a right-to-know lawsuit against the county. Eight years later he returned to North County, where he became managing editor of the San Dieguito Citizen. But he and the publisher disagreed on coverage areas so he left to start The Del Mar News Press. A year later he sold that to Jack Ford, son of President Gerald Ford, and returned to public relations. In 1998, he went to The Coast News office to drop off an obituary he had written about Paul Mannen, one-time manager of the Del Mar Fair, as it was known at the time. Impressed by his writing, publisher Jim Kydd offered him a job covering city council meetings for Del Mar, Solana Beach and Encinitas. Not long after, he began writing “Eye on the Coast” as an occasional column that eventually ran weekly. The Page 5 column provided a snapshot of mostly local news in short paragraphs, one-liners and purposefully misspelled words, such as sez, becuz and hizzoner, and incorrect grammar. Arballo said he adopted the style from New York columnist Walter Winchell, inventor of the gossip column. He also covered the monthly 22nd DAA board meetings until his retirement six years ago. “Bill was just a wonderful, wonderful man,” General Manager Tim Fennell said at the recent fair board meeting, where Arballo’s obituary was included in the agenda packet. Fennell offered to underwrite the $250 cost of a commemorative brick for Arballo onsite at the Plaza de Mexico. The legacy program is a fundraiser for the Don Diego Scholarship Foundation. “Bill was sharp and interesting right up to the last time I saw him earlier this year,” said Jean Gillette, a longtime Coast News columnist. “He had the best stories to tell about his days as a reporter, publisher and mayor of Del Mar. “He loved the racetrack — not just the wagering — but everything about it, from the quality of the turf to who was managing it,” she added. “It was a big part of his column, which regularly scooped the other papers with news. “Bill was an excellent listener and, having been in the area most of his life, he had an uncanny knack of knowing who was up to what,” Gillette continued. “One of my favorite stories was about when he was working for UPI in Hawaii. They knew a well-known gangster was coming to vacation, but not where he would arrive. Gillette remembers Arballo as always being “the perfect gentleman,” even when an editor recommended changes to his copy. He was preceded in death by his wife of 57 years and his brother, Robert. He is survived by his sister, Mary Magana, daughters Loreta Arballo and Teresa Arballo Barth (Don), granddaughter Elizabeth Sounders (Andy) and two great-grand children, AlexAnn and Jacob William. Memorial services are pending. 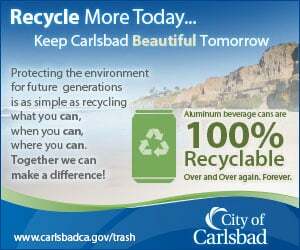 Donations can be made to the San Dieguito Heritage Museum or Hospice by the Sea Solana Beach. Ain’t gonna be the same around here without ya Bill. Hasta la vista.